There are a lot of ways to save money on gear. But there is equipment that you really can’t get cheaply without regretting your decision. Here are my five don’t-skimp-on recommendations, what are yours? are there any your would add? No matter how good your camera and lens package is, without a solid tripod you’re sunk. Rigs aside, your tripod is going to be the core of your sensor’s stabilization so you really cannot afford to get something cheap and crappy. 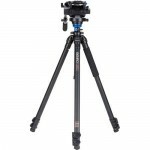 That said there are some good affordable tripods that are smooth and have a decent build quality to price ratio. Benro has a great video tripod that uses Manfrotto plates and works great. They are supposed to be coming out with even more heads in the near future. I’ve been using D&S video tripods for several years now and am still blown away with how well they have held up. 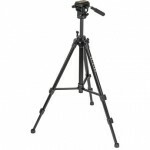 Not only are these tripods well build and smooth, but you also get a 10 year warranty with them! You can get the tripods in a bowl or lift configuration. I would recommend you check out the “Grounder” version that lens you can the tripod head all the way down to the ground for those hot low shots. If you’ve got a light setup this is as cheap as I would go. I’ve used the Pearstone VT-2100 for over 2 years now. 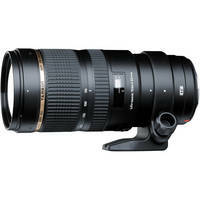 And while its not the smoothest head out there, its price, and size work very well for HDSLR work. 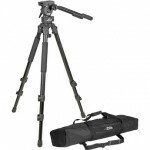 Its a portable, lightweight video tripod that can support cameras weighing up to 15 lbs. Its two-way pan head features separate pan and tilt locks for stable, locked-down shots, or you can pan a full 360° and tilt up and down for smooth tracking of action. I should also note that Manfrotto is having a huge rebate sale on their tripods from now thru September 30th. Below is a list of tripods and heads with rebates. The 18-55mm kit lens has a time and a place. The place is nowhere, and the time is never. 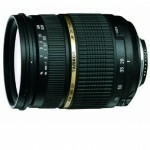 Unlike cheaper prime lenses (like the 50mm F1.8 or Nikkor primes) zoom lenses aren’t as cheap to get right. First off, they are more difficult to manufacture than primes, and secondly, you have to spend a little more to get one with a constant aperture (Fstop doesn’t change as you zoom in and out). 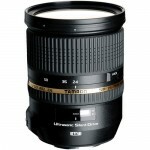 So if you need a zoom lens, save up and get a good one. 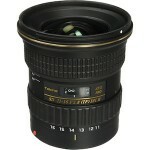 Don’t waist your money on garbage kit lenses (speaking mainly of the 18-55). This is a great budget option. 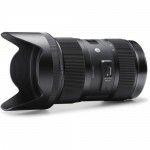 Not the sharpest, best lens, but if you simply can’t afford anything else this is a good options for a normal range constant aperture lens. You don’t want to mess around with cheap crappy quick release plates… Its the only thing between your camera and your tripod! Even the RC2 plates are pushing it. They work if you have a rebel camera size and a small lens, but thats about all I would trust on those little suckers. I recommend getting all you cameras on 501/577 style Manfrotto plates. You can find them pretty cheap here. 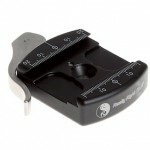 If your have a little more to spend, you can’t go wrong with Really Right Stuff plates and clamps, TOP notch stuff. I’ve yet to find a decent $50-100 shotgun microphone for video work. I’ve bought a few and have always been disappointed. 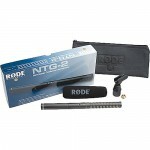 So do yourself a favor and get either a Rode Video Mic, or one of the NTG models. 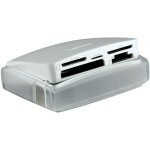 It’s tempting to pick up a dirt cheap multi-card reader, but trust me, thats gonna come back and bite you in the arse. The pins bend easily and you can royal screw up your expensive card. I’ve had this Lexar reader for 2 years and its a champ. It is designed to keep the cards straight so you don’t reck your cards. It also closes so dust stays out of the reader. So there you have it. Some equipment can be had for cheap, but there are some things worth saving for. dude is “your tripod” “your camera” not “you’re”! Im no grammar nazi, but this is killing me! I’ve been eyeing that Davis & Sanford/Tiffen Grounder with the 75mm bowl for my 500AH. Is the height on those decent? I know it gets low to the ground, but curious to know if the max height is real-world-worthy. Sometimes these tripods come a little short of normal. Looking for a cheap alternative to the 2 stage aluminum Miller Solo legs. Also curious to know if there is a good option for spikes on the D&S Grounders? Any good way of adapting an aftermarket set of retractable spikes? Hard to beat the price point of the kit by itself. Good save Diniz. What is sad is that I know better! Thats what I get for writing and posting an article in 30 minutes I guess. Thanks again. 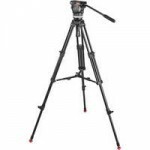 Excellent post and I couldn’t agree more – actually that’s a dirt cheap price for a Sachtler tripod – you can spend thousands on a high end tripod easily – but that’s actually a great price for the Ace tripod. Thanks for the the note, I saw the video but didn’t know that’s what you were using. One item that really isn’t worth skimping on is battery chargers. DSLR chargers can be found for as little as $4.00 on ebay. Dodgy. Saving a few bucks here might end up costing you your house. Not that it really matters but when you talk about something that a person has or owns, you should use your. So using You’re would not be correct in the above context. I have done a fair bit of research on shotgun microphones, comparing almost every model under $1000. Looking at all the data there are three things to look for; length, sensitivity, and noise level. Length is important because only LONG shotgun microphones act like shotgun microphones. Shorter ones are supercardioid or hypercardioid. They will be directional, but nothing like the laser like focus of a long shotgun mic. Sensitivity is the amount of output (measured in mV) that a microphone produces at a specific input level. These are listed with nearly all pro XLR microphones. The NTG 1 and 2 are rated at 15mV and the NTG 3 produces 31.6mV. 15mV is what I would consider too low for recording dialog. Remember, shotgun mics are made to record quiet sounds. The difference between 15 and 31.6mV is about 6dB. Self noise is the amount of noise generated by the microphones electronics. Anything under 15dB A-weighted is considered to be very good. The NTG 1 and 2 are rated at 18dB, which is good. As this gets higher, it will be audible over the preamp noise. I recently tested the Audio Technica AT875R. At 31.6mV it has a nice output for it’s price, but the test revealed that the microphone had too high a self noise and was audible over the preamp noise. Usually, when a manufacturer doesn’t list this specification, it could be problematic. I am guessing that the AT875R has a noise level close to 30dB, which is not very good. In my tests and research, there is one microphone that stands out as being a clear winner. The Sennheiser K6/ME 66 or K6/ME 67. This is a modular microphone system with a power module (the K6) and several different “heads” for different applications. The ME 66 and 67 are the two shotgun options; the 67 being the longer and more directional of the two. The sensitivity of the 66 and 67 is 50mV with a noise level of 10dB A-weighted. Comparing this with the NTG 1 and 2 you will see about a 10dB increase in the output with less noise. This is significant. This could mean the difference between recording audio on a quiet elderly couple with noise and without noise. Yes, this microphone is significantly more expensive than the NTG 1, 2, and the Video Mic. If you are reading this list, you are probably not using an audio recorder with exceptional preamps; you might be using a Zoom or a Tascam recorder. When you need to crank up the preamp gain, you will hear noise. Having a microphone with a high sensitivity means you can keep your preamps a good bit lower and out of the noise zone. Recording great audio with a soft talker and a microphone that has lower sensitivity can only really be done with a recorder with very high performance preamps; think Sound Devices in terms of price range. The Sennheiser ME 66(or 67)/K6 is hard to beat for price and performance. What’s ironic is that you used “is” instead of “it’s” in the beginning..